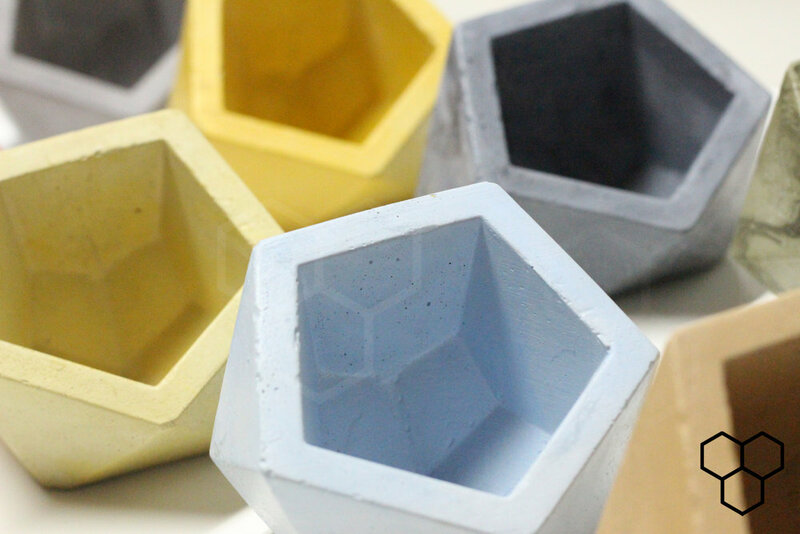 Our Geometric Containers are handmade from step one. We cast with concrete, then move on to a ceramic style sealed finish which not only gives them a great look but also adds durability! We want you to keep our containers for a very long time; sort of like a "Fossil." 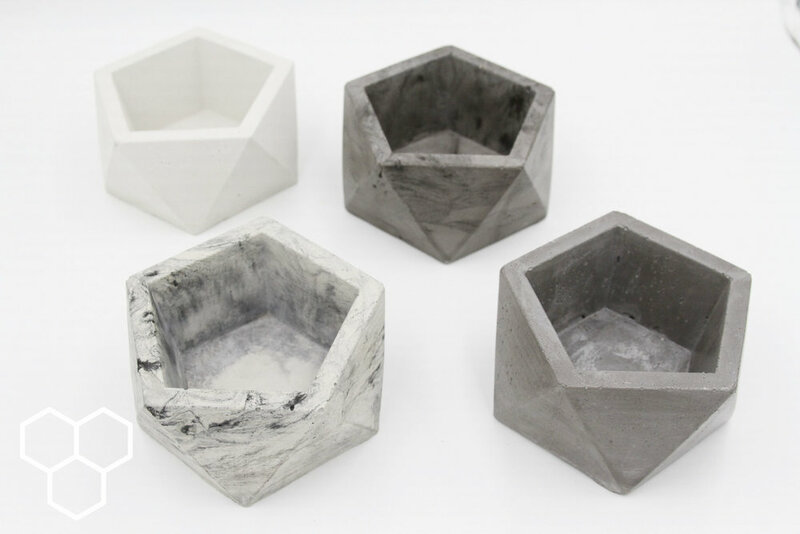 We pride ourselves in using eco-friendly products, from our concrete to our packaging. Combine them with succulents, air plants — or use them as a decorative catch-all. Did you know we can also design any shape and size Geo? Check out or work below and let us know what you think.